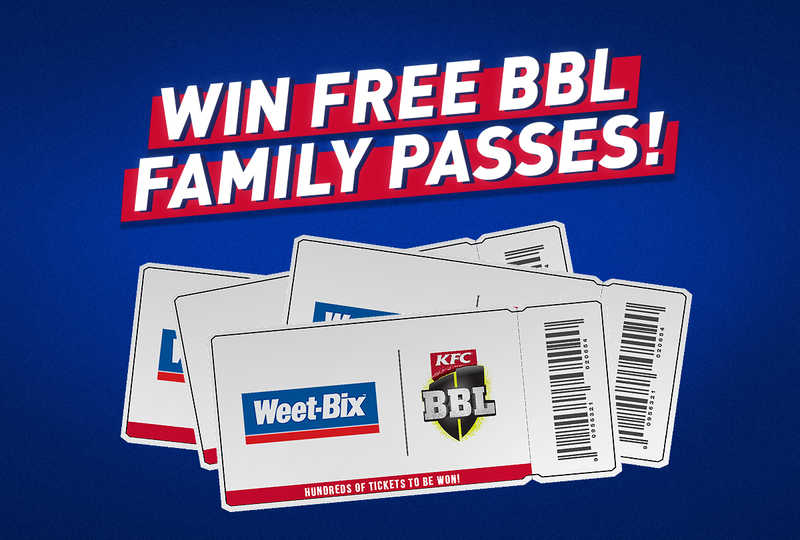 WIN a Big Bash League Family Pass! We're giving away family passes (4 GA tickets) to see your favourite teams hit it for six in the KFC Big Bash League! Simply select the game you'd like to attend and enter your details below for your chance to win. Competition closes 12:00pm AEDST on 26 November 2018.